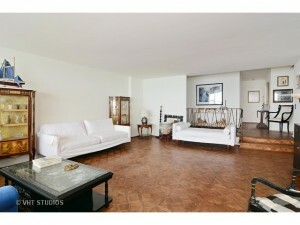 Absolutely breathtaking lake, park and skyline views from this high floor unit in full amenity building. Large open living/dining space and huge balcony with unobstructed views facing the lake. 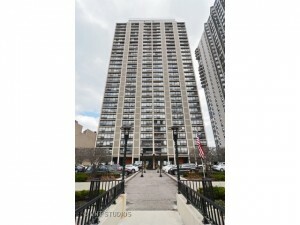 Building is 100% owner occupied w/outdoor pool, exercise room, 24 hour doorman and garage pkg. Only 2 units per floor. Estate sale. Sold as is. Bring your designers - the possibilities are incredible!